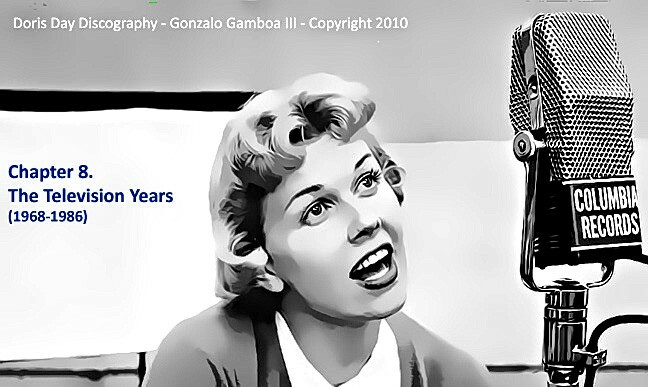 Doris Day made her first live television appearance on What’s My Line in 1954. There were other television appearances on such shows including Merv Griffin’s and The Tonight Show with Johnny Carson, but they were quite rare. She was prompted to sing many times, but always declined saying she was not prepared. In 1976 Miss Day appeared on Mike Douglas’s show and he asked her to sing at the conclusion of the interview. Again she politely said no, but when Douglas began singing Sentimental Journey, the orchestra joined in and so did Doris Day. They sang the entire song together. Miss Day was terrific, prepared or unprepared. After Miss Day’s contract with Columbia Records ended, she embarked on her television series The Doris Day Show, which ran from 1968 through mid-1973. She sang excerpts of many known songs, including a duet with Tony Bennett of I Left My Heart in San Francisco. 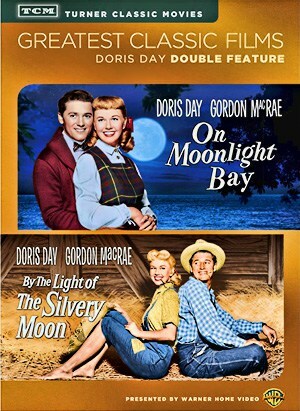 Miss Day appeared on three television specials -The Doris Mary Anne Kappelhoff Special, The John Denver Special, and Doris Day Today. She also hosted Doris Day’s Best Friends (1985-1986) for the Christian Broadcasting Network. A. The Doris Day Show. The opening credits featured her signature song, Whatever Will Be, Will Be.